The family of Jeanetta Gross would like to thank everyone involved in the care of our Mom, Grandmother, and Great-Grandmother. We are overwhelmed the generosity and support of the community. Thank you to the ladies of the St. Anthony Church who served a delicious lunch, for the donations of food and donations at Steins, Fr. Nett of St. Anthony’s, Mary Streit and the choir, Fr. Meyer of St. Timothy’s in Maple Lake for administering the Last Rights, our cousin, Fr. 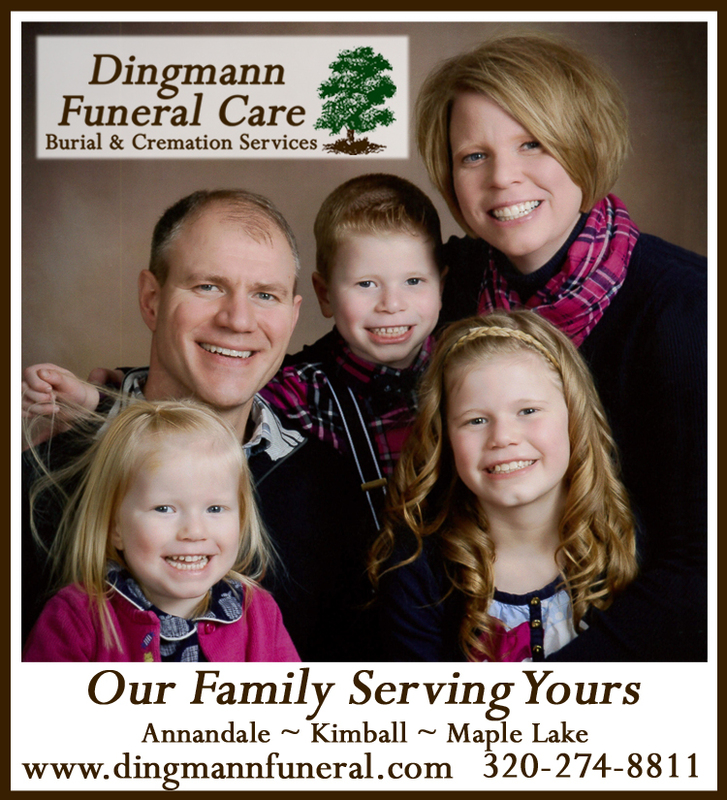 Richard Gross of Watkins, to the Annandale Care Center and to the Ertl Funeral Home. Tom, you took such good care of us and guided us.